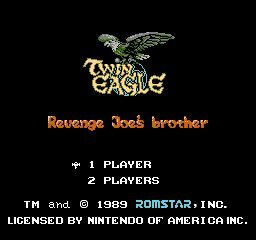 Twin Eagle: Revenge Joe's Brother was an arcade game which came out in 1988 made by Seta corporation licensed to Taito. 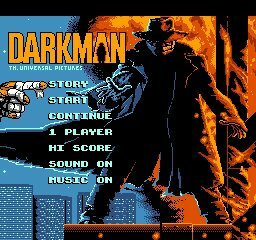 It was one of the first arcade to use extensive digital sampling from digitized photos to digitized soundtrack. It is a vertical scrolling shooter in which the helicopter is player-controlled. The player needs to shoot enemy ships, turrets, helicopters and planes and earn points. 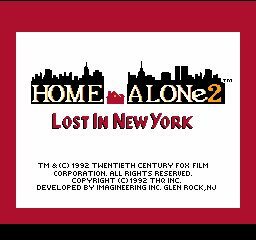 During the game if certain buildings are destroyed, hostages are found and extra points are received for saving them. 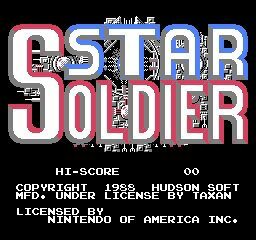 A NES port was published a year later by Romstar. 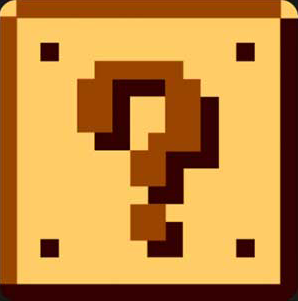 The European version of the game contains a well-known Japanese-English mis-translation as the player is informed after losing all lives that "The player game is abortion".